I ran into a problem. 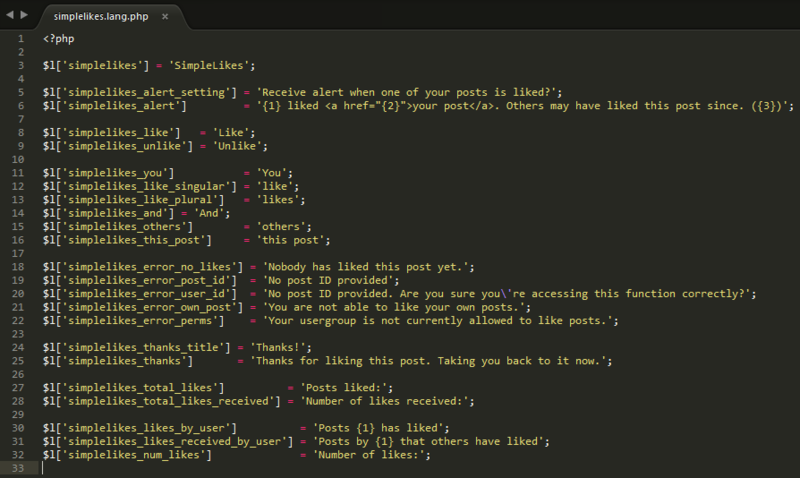 The like feature works but the template variable is not auto inserting. I want it to show up on my postbit right below "Reputation". I would really apprciate the help. (22-05-2014, 11:44 PM)ALUX Wrote: I ran into a problem. The like feature works but the template variable is not auto inserting. I want it to show up on my postbit right below "Reputation". Hi euan, Just an idea. Is it possible to date and give the version number in the "latest download" on the OP? [FIXED] the button is not showing for regular users. Only for Admin/Moderators. Not theme related (tested on mobile theme and PC theme). I'm lucky a friend told me about it, otherwise could have gone months like this. Have tried putting it in different <div> location (with author buttons), but no go. *** Euan, sorry I'm not a plugin author or programming master. Probably this was in the documentation as well... But why not include a setting in Simple like settings "Exclude Usergroups From Viewing: / Exclude Usergroups from Liking: ". Or at the very least set all usergroups to on by default. Any way to get this moved up in line with the other buttons? Sure does. It exclusively works with myAlerts - there's no other notification system when you receive a like. the only alert it seems to work for is when receiving a PM?and then after reading the alert doesn't go away. That's odd. I'll look into that but it certainly used to work. Hi, great plugin, but i have a issue, button not show, only text, no css code "btn_like", see image (italian mybb). Thanks! You'll have to manually add the CSS to style the button in your theme then I'm afraid. Can you tell me how to add the css so that there's a background behind the likes within the thread? Also, how would I change the colour of the text without changing it else where? 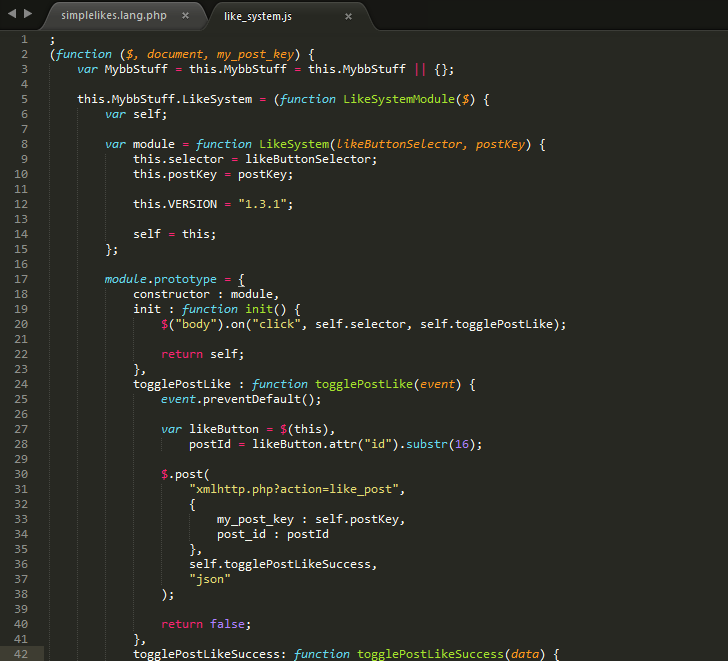 Basically I'd like to set the colours with the plugins CSS of my theme (under its class). Great plugin, has a few downsides but they are easy to fix. I've noticed that many users has asked how to replace the text "Like" and "Unlike" with images, this is how I've done it. 3) Change LINK_TO_YOUR_LIKE_PICTURE and LINK_TO_YOUR_UNLIKE_PICTURE to direct links to the png/jpg/gif or whatever the extension is. Thanks for the in-depth guide Should be useful to a lot of people! Strangely this isn't working with our MyAlerts. . Oh well that would've been nice. Is there a way to use that outside of a profile template? So; for example in our header for a user? ?